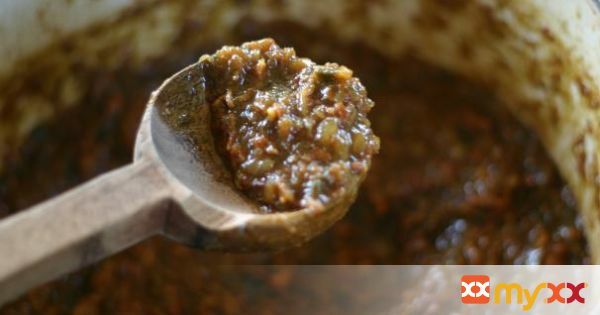 Part Savory, part spicy and a little sweet from the carmelized onions, this "jam" recipe is perfect to top your burgers with at your next cookout! 1. Chop bacon into 1/2 inch pieces. 2. Fry until almost crisp. 3. Add in onion, poblano and garlic. 4. Stir over medium heat until onions are transluscent and peppers have lost their bright green color, about 15-20 minutes. 5. Add in remaining ingredients and reduce heat to very low simmer and continue to cook for one hour, stirring every 5 minutes. 6. Color should darken and the liquid should cook in and all vegetables should become very soft. 7. Pulse mixture in a food processor leaving still semi-chunky or using an immersion blender right in the pot. 8. Simmer 15 minutes more. 9. Jar or transfer to container to cool. 10. Serve warm over burgers with guacamole, lettuce and tomato.